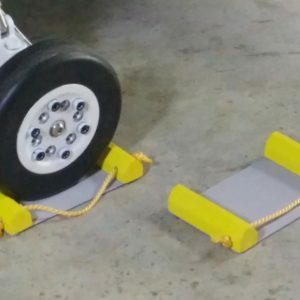 Electric Brakes for both turbine and edf jets. Includes wheels, brakes, tires, and controller. 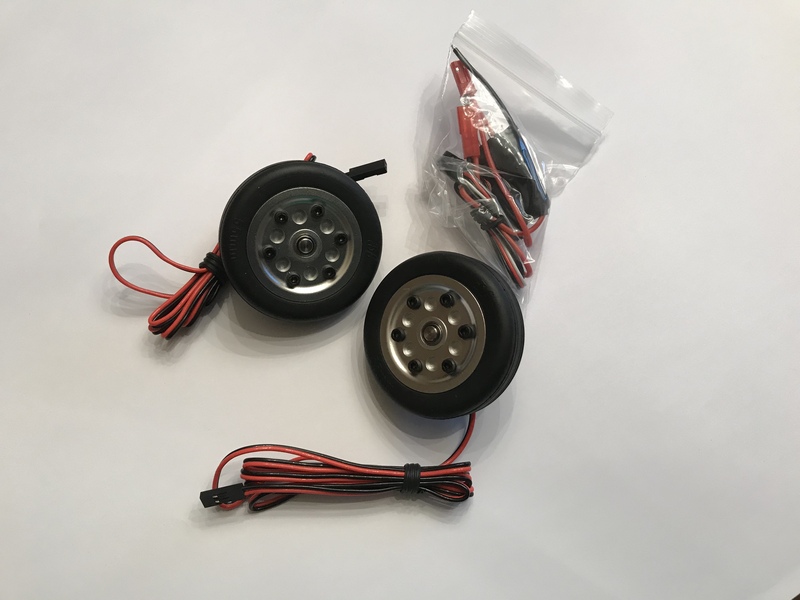 55mm tire, 4mm axle fits HSDJETS. 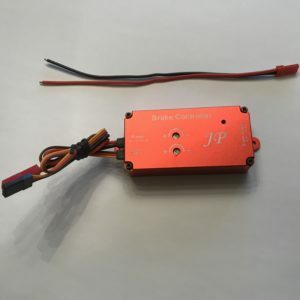 Requires one receiver channel and operating voltage between 7.4v (2S Lipo) to 22.2v (6S Lipo). 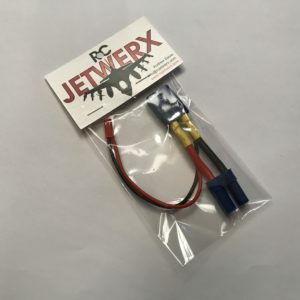 Can be powered by a separate battery or use the RCJ Power Pass Through Adapter (not applicable above 6s voltage). This is the correct size for many 70-80mm edf jets with 4mm axles.